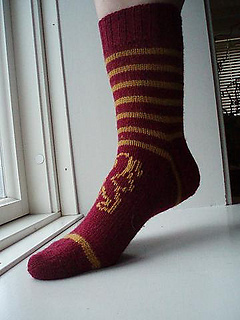 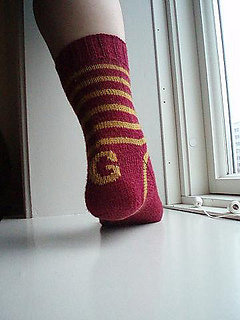 Go Gryffindor is the first socks in a quarted that is my tribute to the four Houses of Hogwarts. 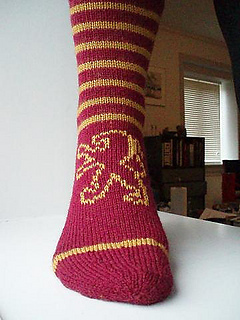 Go Gryffindor features the house letter, G, and the emblem, the Lion. 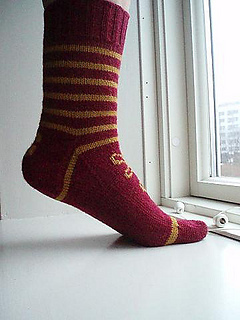 Happy Knitting fellow HP fans!